Chief Keef, whose birth name is Keith Cozart, was born on August 15, 1995. The rapper grew up on the crime-ridden streets of Chicago’s Southside. He became a YouTube sensation with his song “Bang” in 2011, garnering 12 million plus views. 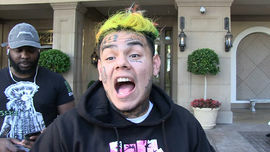 The success of his track “I Don’t Like” landed him a deal with Interscope Records and caught the attention of Kanye West. Keef became the CEO of his own record label called Glory Boyz Entertainment, a.k.a. Glo Gang. His debut alum, “Finally Rich,” was released in 2012 and his sophomore album, “Bang 3,” hit stores in 2015. He’s collaborated with the likes of 50 Cent, Young Jeezy, Gucci Mane, French Montana, A$AP Rocky, and more. 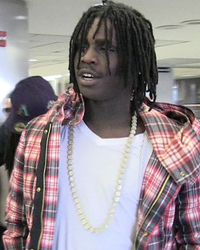 Keef, who also goes by the nickname Sosa, has five children with four or five different women. 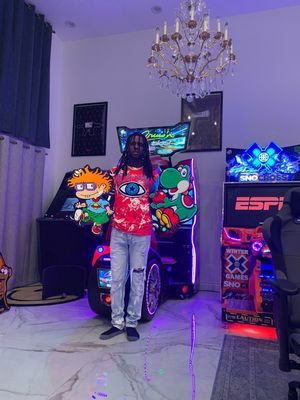 His fifth baby, a boy born in August 2015, is named Sno Filmon Dot Com Cozart, to promote Keef’s record “Bang 3” with the company FilmOn Entertainment. The CEO of the company later released a statement that due to a paternity dispute, the record label was denying the parents the right to name the child using the brand identity. Keef is also father to daughters Kayden Kash “Kay Kay” and Kimora and son Krüe Karter. He has had ongoing child support drama. It is unclear what he named his fourth child. Keef’s had numerous run-ins with the law for DUI, drug possession, and armed robbery and spent time in rehab. Appears to Order Hit On Keef's Cousin ... Shocking New Video!!! 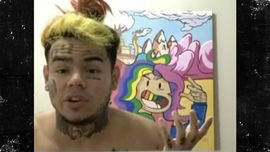 I Don't Give a F*** About Tekashi ... But, Let's Talk Orchestra!! !